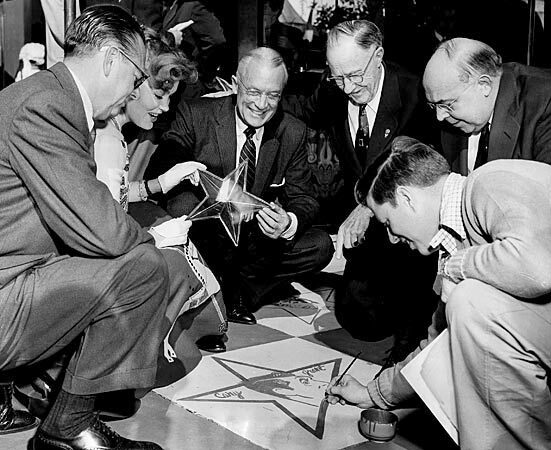 This weekend Hollywood will be celebrating the 50th birthday of the iconic Walk of Fame. Occupying 18 blocks along Hollywood Boulevard and Vine Street, the Walk commemorates the entertainment industry and is one of the most popular tourist attractions in Los Angeles. The Walk has been an important place where fans throughout the ages could physically connect with their idols. Candles and flowers are such a common sight — left to celebrate a birthday or achievement or to offer condolences upon a passing — that the Walk seems almost like a living shrine. 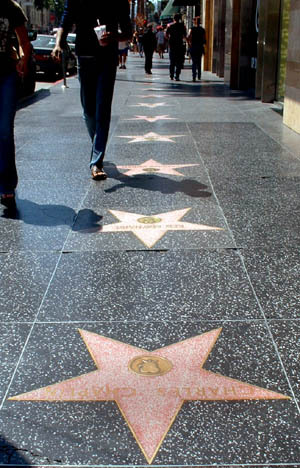 Conceived and maintained by the Hollywood Chamber of Commerce, the Walk consists of over 2400 brass 5-point stars honoring achievements in television, motion pictures, radio, audio recordings and theatre. For a great guided multimedia tour, head over to the LA Times here. More information on this weekend’s festivities can be found on the Chamber’s website here. Early planning session. Check out Cary Grant’s portrait. 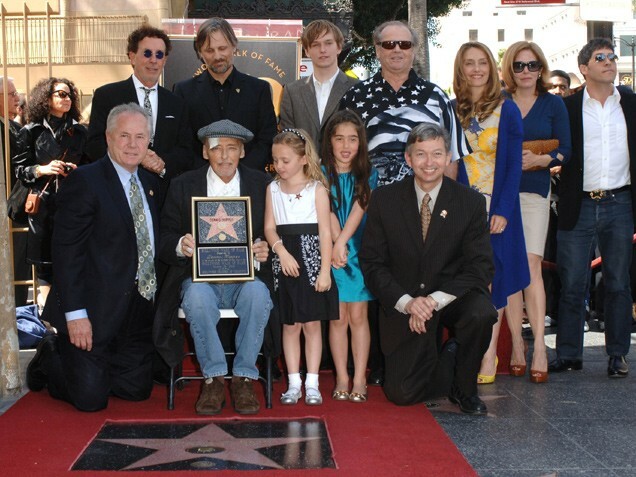 Shortly before his passing, Dennis Hopper received his star in March ’10. 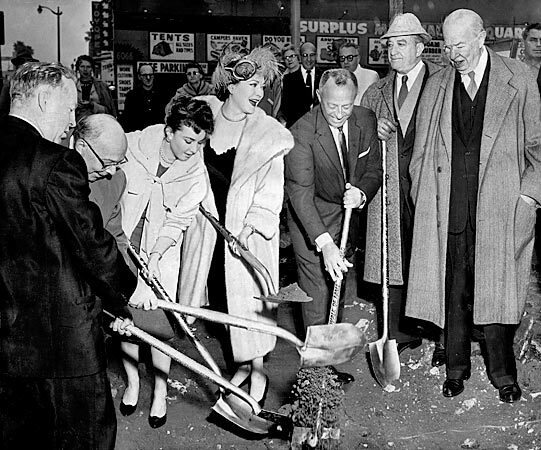 You are currently reading Hollywood Walk of Fame Turns 50 at Quite Continental.